Semi-natural wet grassland at Moneensauran, Co. Cavan, photo by Fiona Devaney. 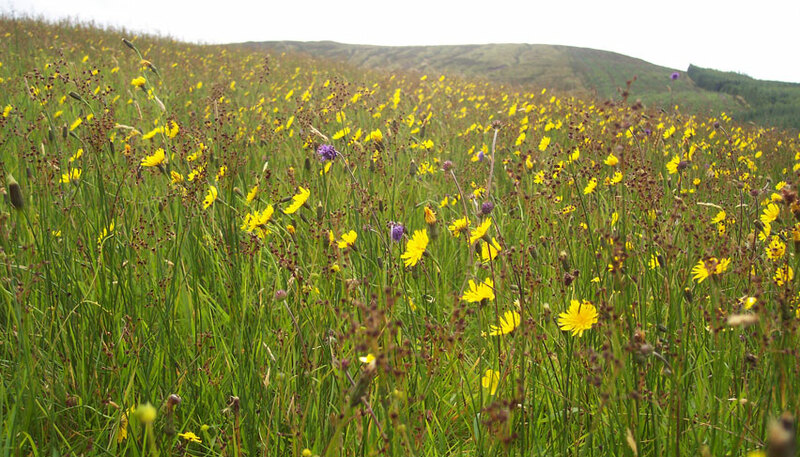 The monitoring of three EU Annex I grassland habitats was undertaken between 2015 and 2017, to collect data that were used to assess their current conservation status. The three monitored Annex I habitats were Semi-natural dry grasslands and scrubland facies on calcareous substrates (Festuco-Brometalia) (6210) important orchid sites (*6210), Molinia meadows on calcareous, peaty or clayey-silt-laden soils (Molinion caeruleae) (6410), and Lowland hay meadows (Alopecurus pratensis, Sanguisorba officinalis) (6510).